A collective driven by our state of affairs, our vision to create the perfect clubbing experience. This is our coup d’état of the status quo, to take you back to heritage of when London’s nocturnal tribes were strong and meant something. We are creators of our era, a new dawn of passion and love – this was then and this will be now.Showcasing innovative music, amazing underground locations, beautiful people and an atmosphere for dancing. 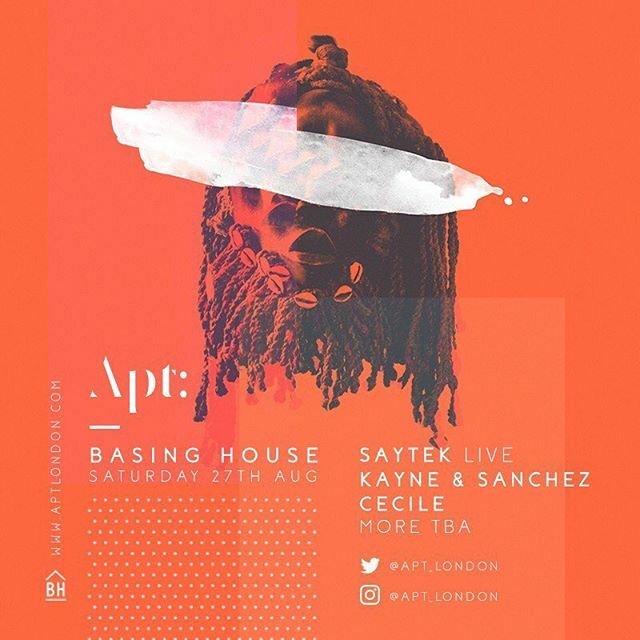 Apt: launches on Saturday 27th August at the intimate Basing House in Kingsland Road.